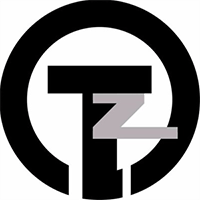 (TZC) TrezarCoin has been in circulation since September 29th, 2017 and operates without being controlled by any monetary authorities. You can mine the decentralized digital coin, which adopts the proof of work and proof of stake (pow/pos) consensus algorithm. TrezarCoin are on social networks such as Telegram and Reddit, so check them out to stay updated with the latest news. Visit our full trezarcoin mining calculator. We don't have any price charts listed for TrezarCoin yet, check back soon!